Please Vote for Costa Farm! food safety initiatives, etc. We have applied for a grant and you can help make the award happen by voting for us! 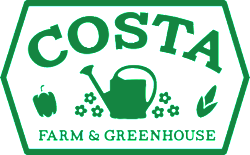 All votes help and you may vote every day through January for Costa Farm. This grant would allow us to build a pole barn to further improve our washing and packing facility. We consistently strive to grow the best produce in the most sustainable and safest way.